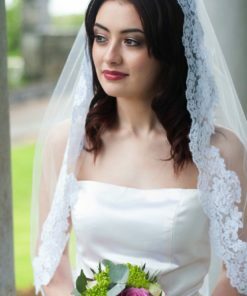 Do you consider yourself a traditional bride? 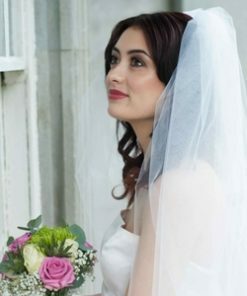 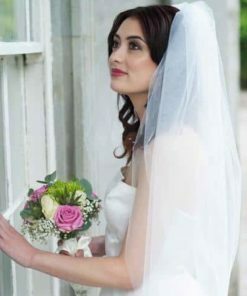 A bridal veil with blusher (two tier cut edge) is the perfect veil for brides that envision traditional wedding style. 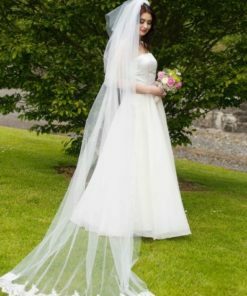 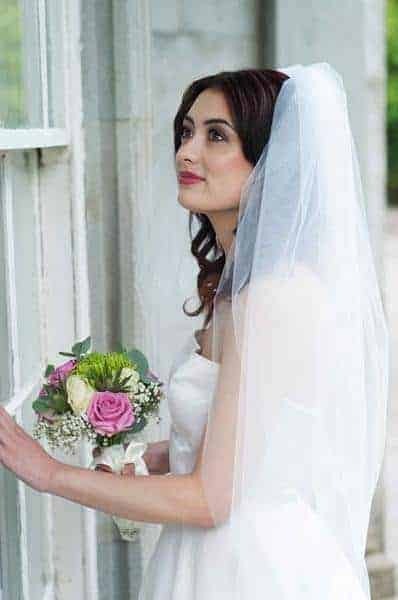 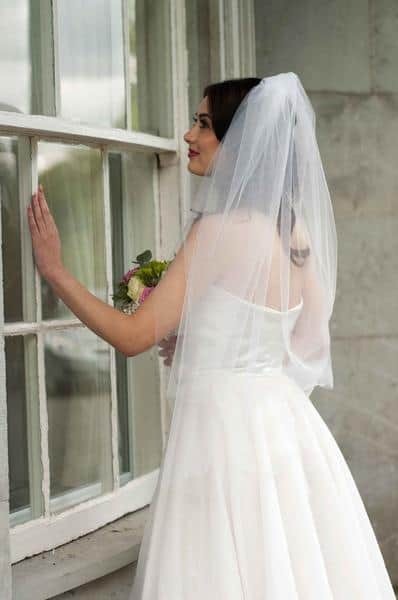 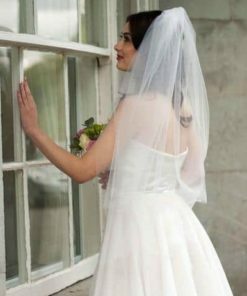 A classic veil with blusher and cut edge finish allows you to wear a veil that doesn’t take away from your gorgeous gown and natural beauty. 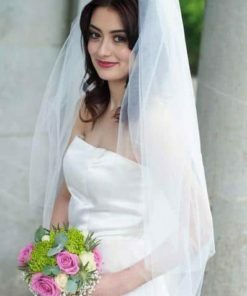 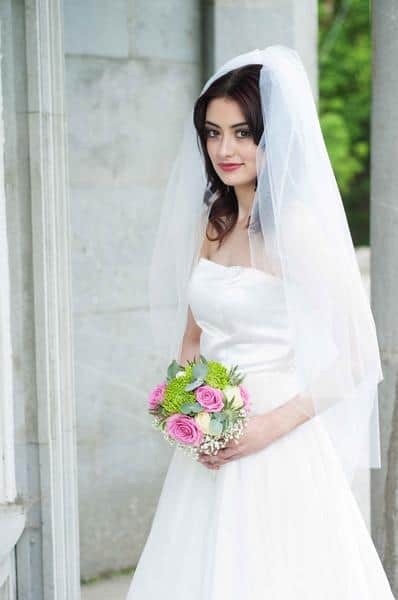 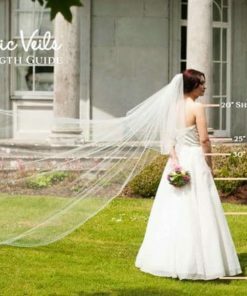 If you are interested in this veil without a blusher, visit our 1 tier bridal veil listing. 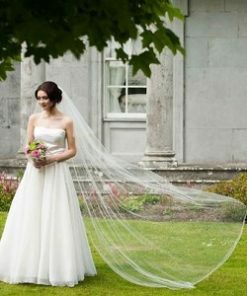 Unsure of veil fabric colors? 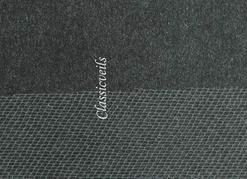 Purchase one of our swatch samples. 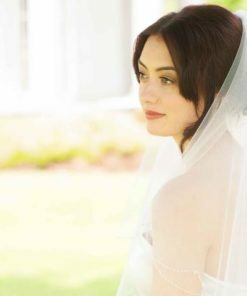 Note: Item can be customized for a variety of lengths, edges, colors and/or accents. 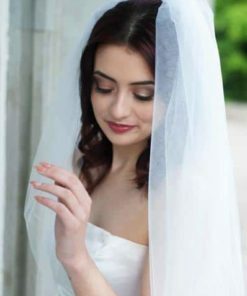 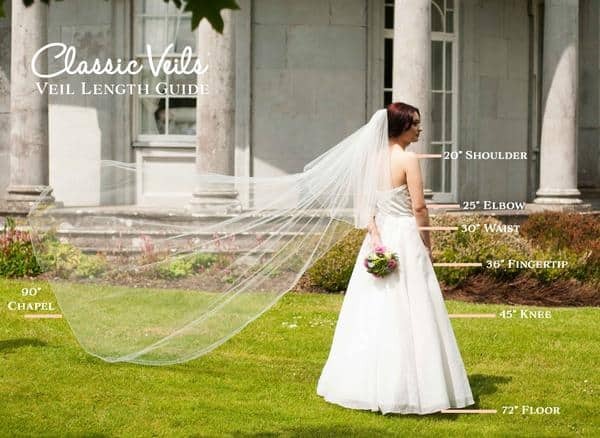 Please see information on ordering a Custom Veil. 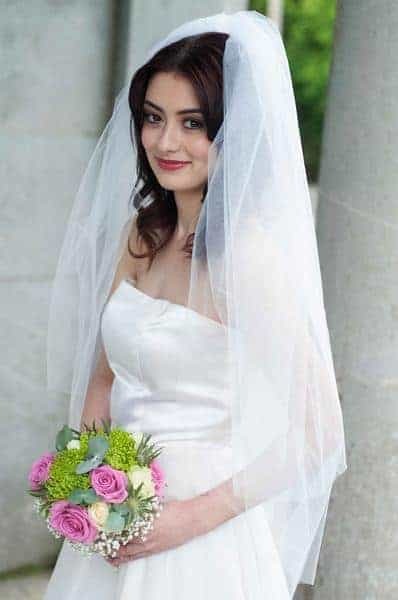 Cathedral 30" X 120", Cathedral 30" X 144", Chapel 30" X 108", Chapel 30" X 90", Elbow 20" X 25", Fingertip 30" X 36", Floor 30" X 72", Knee 30" X 45", Shoulder 15" X 20", Waist 25" X 30"